A new case for expat private investigator Jayne Keeney. Jayne has been hired to investigate the alleged suicide of a young Australian woman in a seedy Thai coastal town. 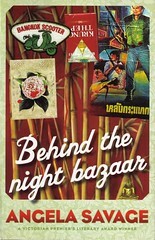 But Maryanne Delbeck’s death is not the only mystery awaiting Jayne among Pattaya’s neon signs and go-go bars. While working undercover at an orphanage where Maryanne volunteered, Jayne discovers something far more sinister. Now her life is in danger, her case is still unsolved and she barely has time for dinner with her handsome new love interest, Rajiv. With love and death both circling, Jayne now has two cases to crack—and very little time to do it. 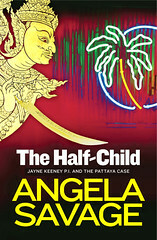 The Half-Child is not your standard crime novel; Jayne Keeney is not your everyday detective. 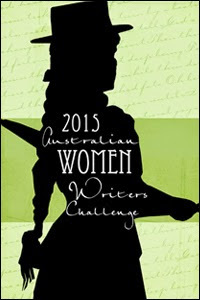 Shortlisted for the 2011 Ned Kelly Award for Best Fiction. Available as an ebook or as a paperback here and here. 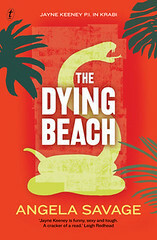 Listen to Sue Turnbull’s review on 666 ABC Radio here.